Meet Portland, Maine’s most talented & intuitive wellness Providers! Learn more about Portland, Maine's number one health and wellness spa! The wellness center Health Resonates is a co-working space located in the West End of Portland, Maine. Our mission is to provide our clients with services that enhance well being through empowerment, relaxation and wellness. Health Resonates offers a full range of spa services including health, wellness, energy work, massage, skin care and beauty services. Nicki studied massage therapy at New Hampshire Institute for Therapeutic Arts. She graduated in 2014 with a vast understanding of the human body and a multitude of massage techniques that she incorporates into her massage practice. These techniques include deep tissue, neuromuscular, Swedish and trigger point. Nicki enjoys working with her clients to create a specialized massage that is most beneficial for them today. In 2012 Nicki graduated from The University of Southern Maine with a Bachelors degree in Life Sciences, focused in Biology and Holistic Health. Her passion for a holistic lifestyle has always existed but was greatly enriched in 2011 when she graduated from a 200 hour Yoga Alliance Certified, Yoga Teacher Training Course. Book your appointment with Nicki Now! Sarah has honed her skill of tuning in to the energy of what the body requires, and is willing to receive to create more ease for each body she encounters. With her approach, she creates a very balanced and nurturing experience for her clients, allowing each person to leave feeling connected to their body and being, empowered to know that they know. When you work with Sarah your whole being is acknowledged. Book your appointment with Sarah Now! Learn more about Sarah's services: Intuitive Massage, Access Consciousness Bars Sessions Empowerment Coaching. Meg has always been passionate about movement, creativity and the artistic body; & was a professional modern dancer, award winning choreographer & instructor in the Boston area. A massage therapist for 10 years, Meg has enjoyed practicing at such wonderful places as The White Barn Inn in Kennebunkport and The Salt Spa in Yarmouth, as well as others. After completing a year long Polarity apprenticeship, Meg's bodywork offerings became truly integrative and holitstic. Her work is often described as intuitive & empathetic, as well as highly focused. Meg integrates various massage modalities, within each session, to address the specific needs of the unique client. When requested, Polarity therapy elements can be integrated into sessions, creating systemic relaxation throughout the central nervous system. Book your appointment with Meg Now! While earning a four-year Master's degree in Acupuncture and Oriental Medicine from Daoist Traditions College of Chinese Medical Arts, in Asheville, North Carolina, Heather began her intensive study of Classical Chinese medicine with Jeffrey Yuen, an 88th generation Daoist priest in the Jade Purity lineage. His cultivated spirit and extensive knowledge in its breadth and depth is a touchstone for Heather's life, practice and continuing study for over a decade. At the start of her journey with Chinese medicine, Heather had the privilege to learn from Five Spirits author Lorie Dechar, LAc, who enriches the understanding of the authentic practice of this alchemical medicine. As a graduate of Dartmouth College, Heather's initial introduction to Eastern thought was in her undergraduate studies, and in this way perhaps marks the true beginning of her appreciation of Classical Chinese medicine. As Jeffrey Yuen says, "Chinese medicine is Chinese philosophy applied." Applying this comprehensive framework to her work enables Heather to provide her patients with thoughtful and effective care for a diversity and complexity of health concerns. To book with Heather, visit her website or text in for an appointment at (207)266-8633. 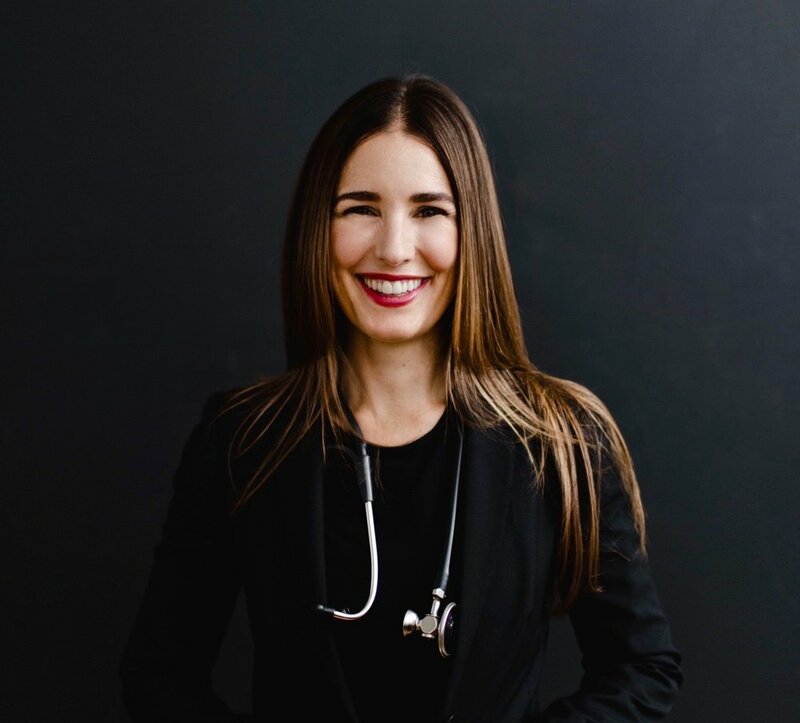 Dr. Corina Dunlap is a board-certified naturopathic doctor and medical researcher specializing in women’s health at all stages of life. Throughout her entire career, her mission has been to give women access to the information, education, and solutions they need to treat their health issues in the most effective, least invasive way possible. That means she work with you to understand the root cause of any issue and then create well-rounded individualized care strategies. The goal is optimal and sustainable health and wellness. To book with Dr. Dunlap, visit her website. Her mission with skin care is to provide relaxation, detoxification and radiant skin, using thorough analysis as well as individual treatments and skincare regiments for each client. By combining holistic approaches with modern technology, She gives her clients the care and education they deserve. Choose from a variety of facial, body treatments, waxing and tinting services tailored to meet your needs. Book your appointment with Tara Now! We are always looking for driven professionals to team up with.